Have a pyramid built in your name! 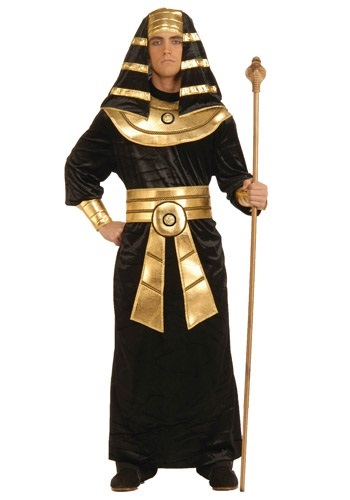 Reign over ancient Egypt in this Adult Black Pharaoh Costume. Mummify whoever you want and lead your troops into battle. This is a costume that is worthy of the ancient gods! Ancient Egyptian civilization lasted longer than any other, ever--more than three millennia! So they had a lot of different Pharaohs--more than 170. 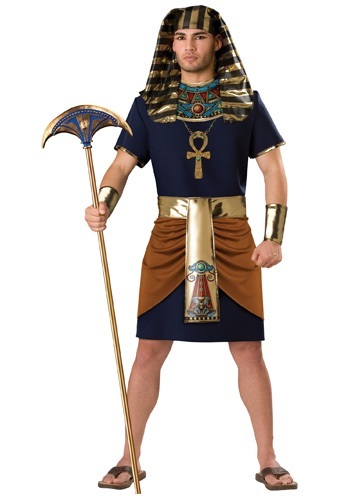 When you choose this Adult Deluxe Pharaoh Costume for your history-themed event, you have a lot of examples to pick from if you want to represent a specific character. Or you can just make up your own character. Not much is known about a lot of those Pharaohs, so you could pick a name and come up with your own back-story. When people see the snake wrapped around your arm, they will know you are a goddess. Only true goddesses have such power and control over snakes. You'll look like a wealthy Egyptian aristocrat when this metallic Egyptian Armband is wrapped around you. Do you fancy yourself as an Egyptian god or goddess? You better make sure you carry a big stick! 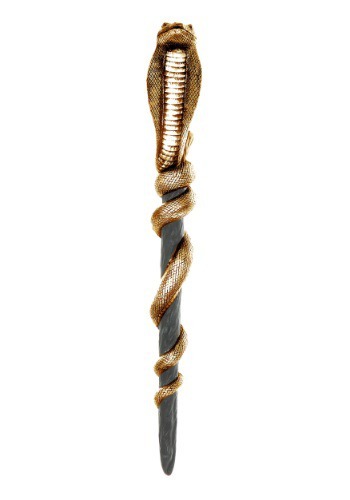 This cobra staff will complete any Egyptian costume, and whether you fancy yourself as a supernatural force or as the ruler of an empire, the cobra head on this staff is going to be there to back you up. Use this detailed accessory to make sure your pharaoh game is on point! Cleopatra is comin' atchya! This Egyptian Jewel Costume is a great way to channel the Egyptian culture in the 21st century. This striking teal costume has gold accents which give this costume a regal touch. Don't be in de 'Nile' about this costume, pick it up to become a seductive Egyptian Queen! Being a pharaoh in Ancient Egypt doesn't sound like such a bad gig. You get a beautiful palace and servants to meet your every need. There's lots of money and beautiful garments. Plus, you know, you get your own pyramid and well, that's just plan cool! Reign over the Valley of the Nile and its inhabitants in this Egyptian Pharaoh Costume. Did you know that his style of headdress was called a "nemes"? The nemes could be worn with or without the "uraeus," the sacred cobra emblem. Both were worn only by Egyptian royalty--never by commoners or slaves. When a pharaoh was buried in his tomb, it is said that Anubis assisted with everything. After all, he is the protector of the dead and the master of mummification. 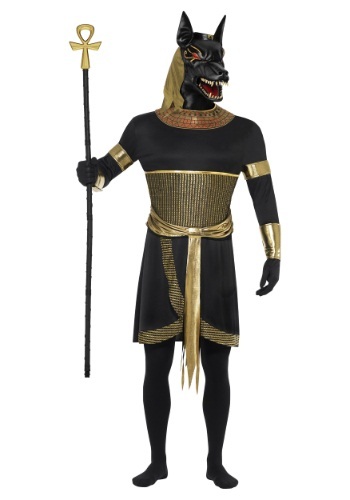 You can be the master of mummification too when you wear this Men's Anubis the Jackal Costume. We recommend that you don't actually try to mummify anyone tho! The activity of embalming might not appeal to most, but Anubis, the god of the afterlife, loves it! After the embalming, he politely escorts the souls into the underworld. So, he may look a little treacherous but he's actually a pretty nice guy. 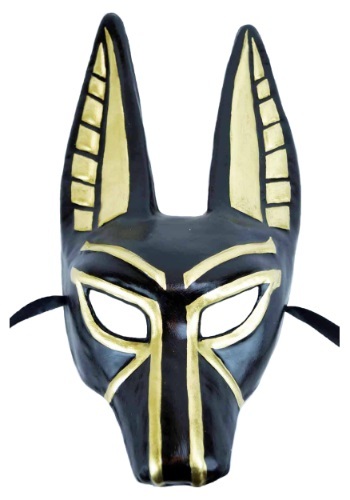 Get into character and walk like an Egyptian while you wear this mask however, we don't recommend any sort of mummification tho. You'll be the Queen of the Nile! This Plus Size Egyptian Jewel Costume will make you look like royalty from ancient Egypt. Pick up the black fringe bang wig to complete this classy Cleopatra look. Some gold heels also wouldn't hurt! You may have heard about Tutankhamun, Ramesses, and Amenhotep being supreme rulers but none of those pharaohs could party like this guy. This King has the sweetest party pyramid in all of the land. 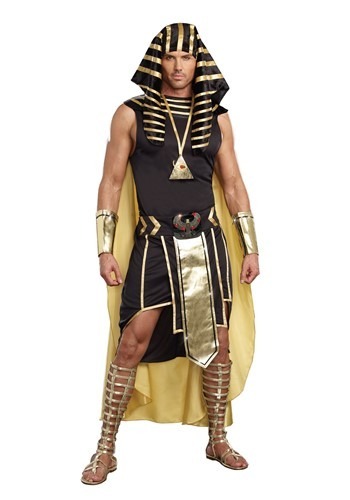 Get carried into the party feeling like solid gold while you're dressed as the King of Egypt. Isis has come back after all of these years. And wow, does she look good for her age! Everyone will worship you like a real goddess once they catch sight of your gold tipped garment. Be sure to spread your wings as much as possible while your out partying with mummies and ancient pharaohs. Appease the other gods and the masses with this vibrant Isis costume that will put Cleopatra to shame! What's a girl's best friend? Ultimate authority! Sure, diamonds are nice, but when everyone has to obey you every command, you can have anything you want. This Women's Goddess Nefertiti Costume gives you the look of an Egyptian queen who knows exactly what she wants. It won't be long before you take control of any party and begin commanding your own dynasty! She was King Tutankhamun's stepmother and also his mother-in-law, and a renowned beauty in her day. She may have ruled as pharaoh in her own right for a brief period. 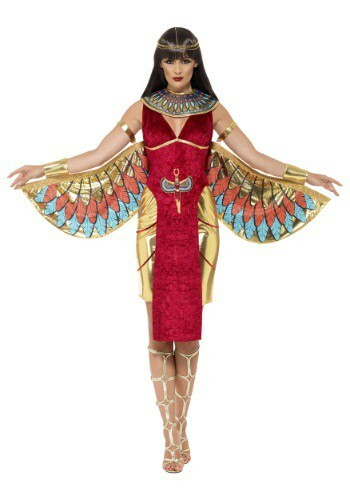 You can become this legendary Egyptian queen in this shimmering Women's Nefertiti Costume. Rule over Egypt's Golden Age!